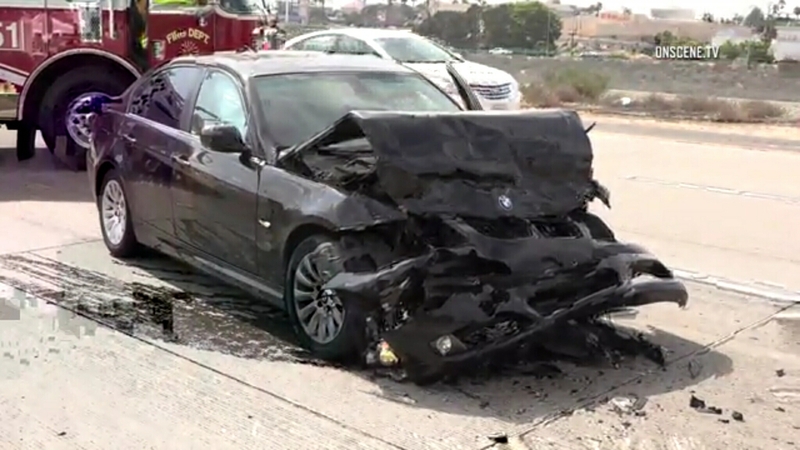 A chain-reaction crash halted traffic Monday afternoon on a major freeway in the South Bay just as rush hour was starting. The four-car pileup happened around 3:40 p.m. on eastbound state Route 54 near the Interstate 805 junction, according to the California Highway Patrol. The crash closed all but one lane of traffic, causing a major back-up. Several people were transported to a local hospital for various non-life-threatening injuries, the CHP said. The cause of the crash was under investigation, the CHP said.